Single Node OviOS Linux with replication. 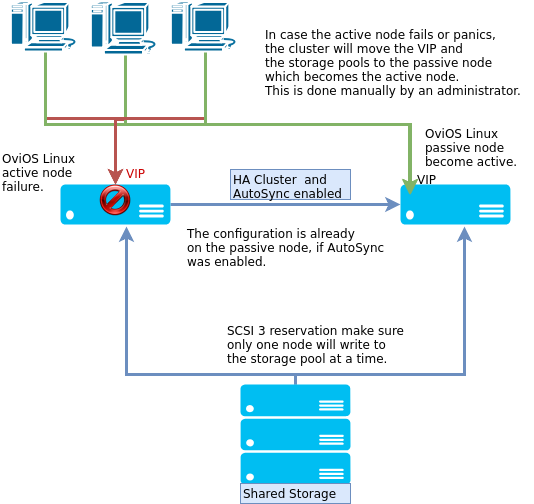 2-Node HA Cluster with OviOS Linux. In case of a failure, a manual intervention is required to failover to the healthy node. 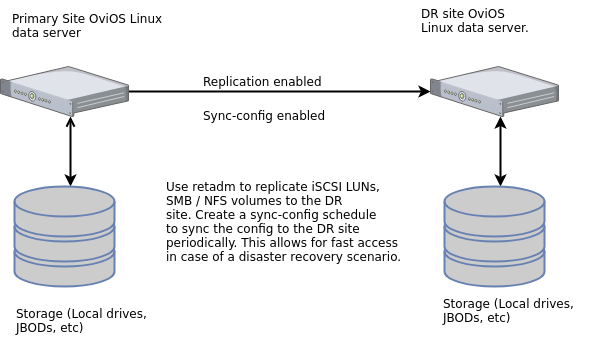 In case of a failure, the cluster will automatically failover to a healthy node.